Fulfill your dream of becoming an educator or develop your passion for working with young people by exploring the education department at Hesston College. Your Hesston education will provide you with the strong foundation that you will need for upper-level studies for teacher education licensure. Majors in teacher education devote the greater portion of their work during the first two years to a broad general education. They take foundational courses in teacher education. Then, the work after transfer and acceptance into an upper level teacher education program consists of continued academic coursework at the upper level and professional courses and experiences. Why start here for teacher education? Hesston College instructors focus their efforts on the development of first- and second-year education students. Through engaging class sessions, you will gain a thorough understanding of the current world of education as you, for the first time, view school through a teacher’s eyes. 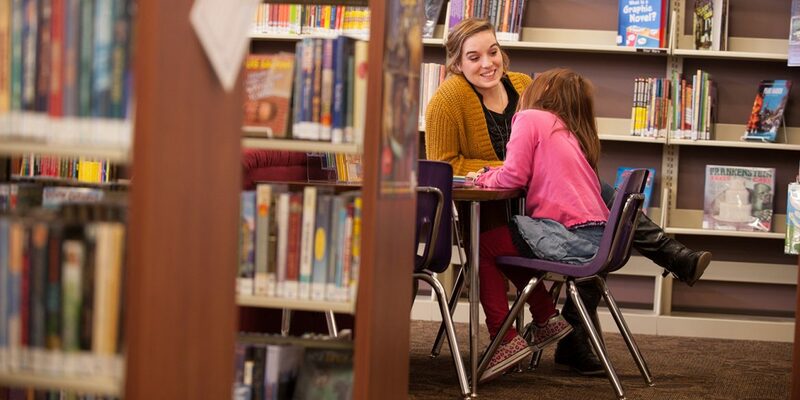 The Hesston community warmly welcomes Hesston College education students to participate in classroom observation, reading tutoring and after-school programs. Surrounding schools districts of Newton and Wichita provide more diverse settings for observation and field trips. You will experience ample opportunities to relate personally with faculty in both the education department and in the department of your selected concentration area. Students who will thrive in early childhood education have a passion for children and a desire to make a difference in children’s lives by helping them get the opportunities and nurturing they need and deserve. Traits such as creativity, flexibility, sense of humor, high energy, love of learning, respect, patience, pragmatism, willingness to take risks, authenticity and perseverance contribute to success in a early childhood education career. Of course, early childhood educator students will develop a grasp of subject matter and educational techniques. Obviously, it is vital to love being around children. Future teachers of young children also cultivate a love for teamwork, creativity and patience. Some of this comes naturally as part of one’s personality; the rest is grown through experience and information about the educational process. 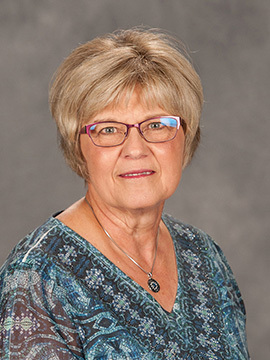 Many students continue their pursuit in teacher education to become a teacher for preschool, elementary school or early childhood education special education; others transition into studies in related careers such as child psychology, family and child studies, social work, speech pathology, occupational or physical therapy, etc. Secondary education teachers are knowledgeable in their field of interest – their concentration area – while also having the ability to educate middle/junior high and high school students in that subject matter. Students who will thrive in secondary education have a keen interest in a specific subject area as well as a desire to impact the lives of young people. Fulfill your dream of becoming an educator and develop your passion for working with young people by exploring the education department at Hesston College. You will take multiple courses in your concentration area as well as the foundational education courses for a teaching license. Then, after your transfer and acceptance into an upper level teacher education program, you studies will consist of continued academic coursework at the upper level and professional courses and experiences. The secondary education curriculum will provide you with the strong educational foundation you will need for upper-level studies and a degree in education. Academic advisors work one-on-one with students to ensure requirements are met for a seamless transition to continuing education and professional careers. 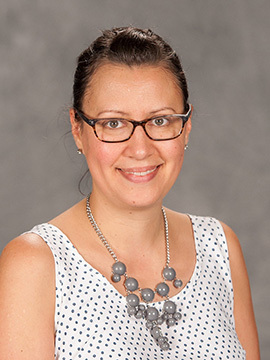 The education advisor and the faculty in their concentration area guide their selection of the most appropriate general education, teacher education, and concentration area coursework. 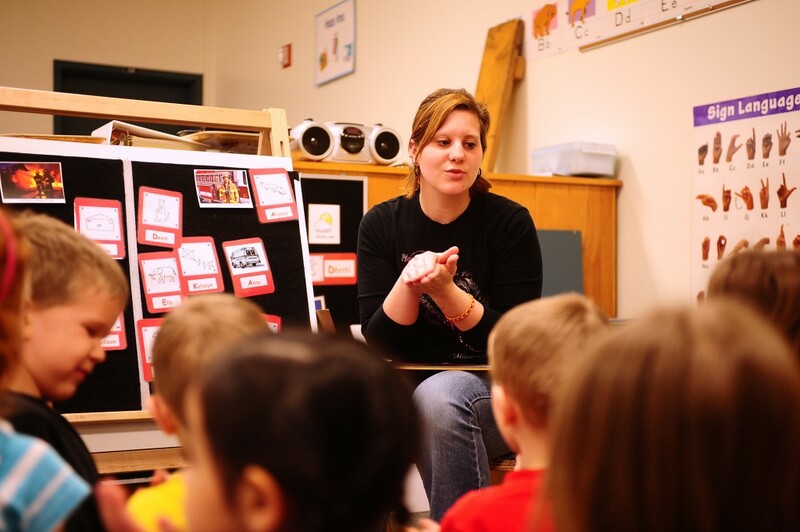 The Hesston College laboratory Preschool provides rich observation and hands-on experiences for students studying early childhood education. It also provides a half-day preschool program to serve children, families and the Hesston community. Education courses and resources are designed to help students develop knowledge and skills to prepare for transfer, pursue careers and/or seek immediate employment working with children.